Mr. Lee, the director of ongoing drama, “Dignity at Muzzle” is panicking. Apparently, Ms. Wang cannot write the drama script because she is experiencing writer’s block. Episode 14 is supposed to be filmed within a week, but now, it seems impossible. This would destroy everything, the broadcasting channel, the time slot, the tired actors and staffs and moreover, the angry audiences and producer. Ms. Wang is one of the best drama writers in the industry and has won several awards, but now, Mr. Lee regrets his decision appointing her. She couldn’t let that happen. If the rumor starts then she might have to leave the industry forever. The entertainment industry had always been a tough platform; strong waves that could overturn the boat anytime. “No, I can’t let that happen. I am the best” She shouted. The aired episode 12 had gained huge love from the audiences and critics so she wanted to do it perfectly, no matter what. “I must write.”, she kept on mumbling to herself, but no luck. According to Bell and Smith (2014), writer’s block is the inability to write due to lack of planning. However, Ober (2004) and Smeets (2008) have defined procrastination, perfectionism, and impatience as main causes of writer’s block. In writer’s block, the creativity of a writer is hampered to write (Chintamani, 2014). Boice (1993), believes that we have overlooked writer’s block as it is practical intelligence which is never taught. It is like a tactic knowledge that the teacher expects from students like time management, how to do homework etc. Procrastination is one of the causes of writer’s block and the main reasons are anxiety, fear of failure, depression etc. (Smeets, 2008). Due to procrastination whole of the writing is pushed off to the deadline. Also, people resist work when they have larger audiences. Ms. Wang has a huge audience expecting a lot from her which makes her nervous and resistant. Similar things happen in our life when we have so many things to do, we just sleep and procrastinate. Many people believe that their draft should be perfect in the first time. But little do they know that every masterpiece is revised plenty of times before sending to the print. Even J.K Rowling revised a lot and had written 10 different openings for her first Harry Potter series book (McGarrity, 1999). Here Ms. Wang has a huge responsibility to make the episode 14 perfect, as the aired episode 12 was a big hit. Everyone is expecting a lot from her and she wants to write a perfect draft. But she fails to understand that perfect doesn’t mean the first time. Humans are really impatient creatures. They want the work to be done very quickly and want the results, prompt. If it takes a long time to finish the writing, people grow tired of the slow writing process. Impatience is also one of the causes of writer’s block (Ober, 2004). The pace of writing, the mentality, everything is affected by the environment. Usually, people cannot write in their desks where they have lots of distractions like: calendars, notebooks, pictures etc. So, choosing a right peaceful environment can help to calm and clear the mind. Sometimes, going to the parks or even movies for a break could help. Ms. Wang could do the same. Scheduling certain hours in a day, just for writing can help a person write easily. It differs from person to person; some may like to write in the morning and some, at night. Having a fixed time in a day to write increases the thinking capability and motivation to write. Writing regularly also decreases the chance of procrastination. In this case, as Ms. Wang is a writer by profession, she has to write for straight long hours. Rather than doing that, she could schedule her time in blocks for a couple of hours. She could treat herself a nap or some snacks in between. “After all, writing is a hard work,” says Ober (2004). For example: She could section her time from 8am to 10 am to write the introduction and from 12pm to 2 pm to write fight scenes. Bell and Smith (2014), strongly believe that lack of planning causes writer’s block. If one plans the framework then it becomes comparatively easier to write following that framework than just write randomly. So, having a strong backbone to fill up the muscle is much easier. Ms. Wang could also plan the end of the story and key scenes for the script. Then, she could build around that story. This also keeps the story and patience in track. If she has a track of completed portion of the script, then she won’t be as impatient as she would have been without the framework. Morton (2000) says that one of the causes of writer’s block is the misconception that one doesn’t have anything important to say. Everyone has something to say. They have memories, education, experiences, knowledge etc. What one knows, another person may not. Ms. Wang has the expertise of script writing. She has knowledge, experience about writing scripts and even knows what kind of scenes her viewer’s like the best. She should be confident in her writing. She could write everything she knows about the context of the drama. Let us assume that the “Dignity at Muzzle” is drama series about the Army. Then, she could write about the hardships, the pride, punishments etc. that she knows. This could be very handy in writing the details for next time as well. Ober (2004), suggests the writer to write anything to release the pent-up ideas. This helps the writer to open up and unblock the writer’s block. Writing without stopping for 5-10 minutes without looking back at it could help to release the stress. Having a deep conversation or shouting out loud might be pretty helpful to release the frustration. Taking a nap, spending time with favorite people, doing favorite things etc. could also help the mind to relax and be at ease. Many people expect their first draft to be perfect. It doesn’t need to be. While writing the first draft, one should just write freely without taking note of the spellings or grammar. It could be mended again. The writer just needs to write the idea, the feeling into the writing. For the rest of grammar, punctuation etc. editors are available. Anyone can look into the grammar, but not anyone can write the thoughts, the feelings of a writer. Writing is hard. Anyone can suffer from writer’s block without warning and in worse of times. But, with certain steps, the writer’s block could be managed. Ms. Wang could choose a right environment and right time to write. She should thoroughly plan the writing and not work haphazardly without the framework. She needs to believe in her writing and not assume that everyone knows what she knows. Even the simplest of things that she knows, could be completely new to her readers/viewers. She could write freely about anything that she likes to release the pent up frustration or also scream her heart out. Taking a nap could also relieve her stress. Finally, she should give up the assumption that everything needs to be perfect. She need not write abiding by the rules of punctuation or grammar at first. She should just write the feeling and let the other technical things to be edited by the editor. Bell, A. H., & Smith, D. M. (2014). Management Communication (3rd ed.). John Wiley and Sons. Boice, R. (1993). Writing blocks and tacit knowledge. The Journal of Higher Education, 64(1), 19-54. Morton, P. G. (2000). Challenging writer’s block. AAOHN Journal, 512-514. Ober, S. (2004). The Process of Writing. In In Contemporary Business Communication (Indian Adaptation) (5 ed., pp. 184-214). New Delhi. Smeets, S. (2008). Writer’s block as an instrument for remaining in Paradise. 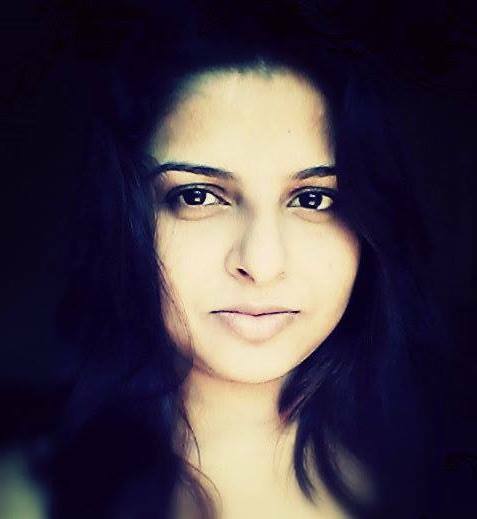 Asmita Gyawali is an MBA student, she loves writing and blogging about food. Hi Asmita, great post on combating writer’s block. I’m a writer myself and have certainly suffered from this on more than one occasion. When I wrote my fantasy novel, Elementalists: The Fires of Canicus, there were several points (especially during revisions) when I got stuck. In these cases though I didn’t find it to be because of procrastination, a lack of planning or a need for perfection though, it was something else. I’m going to add one more to your list – “tunnel vision.” When you look at something the same way for an extended period of time, it becomes very difficult to look at alternatives. My solution for this is to get a friend to read your work and help you brainstorm. A lot of writers also say that writer’s block doesn’t exist – it’s simply an excuse. I disagree though, sometimes you feel uninspired or just need to be in the right mood to write. I’m also working on building a website in order to help people writing a book who are suffering from writer’s block or anything else standing in their way. It’s still under construction so nothing to see yet, but hopefully soon it will be ready!